Please visit our news blog. 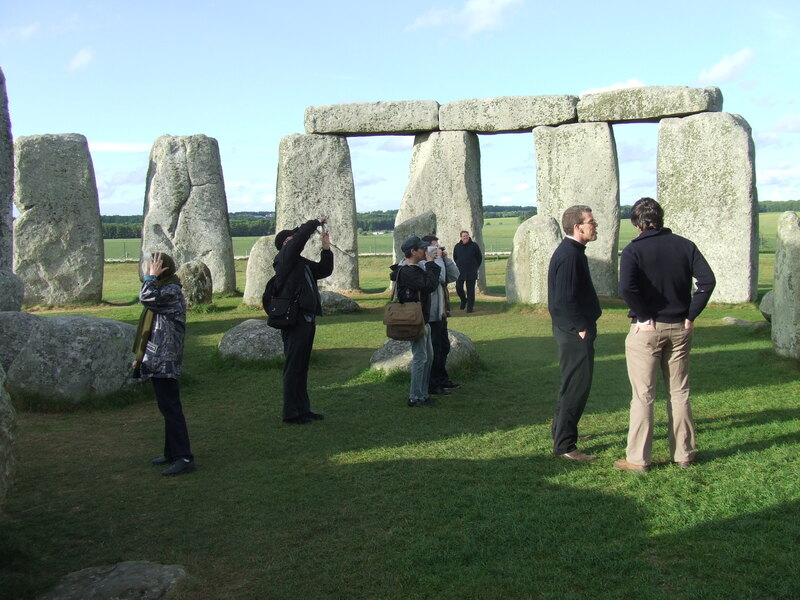 With almost daily bulletins from a team of dedicated Stonehenge geek's we promise the latest news as it happens. The Blue Stones were from the Prescelly Mountains, located roughly 240 miles away, at the southwestern tip of Wales. 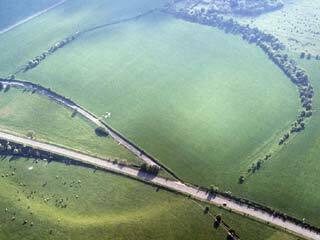 Durrington Walls is a massive circular earthwork, or henge, about 500 metres in diameter (nearly 1/3 mile), located north of Woodhenge. Despite having been much damaged by ploughing and cut through by the A345 road, its tall banks are still visible. It was built in the Neolithic period (around 3100-2400BC). 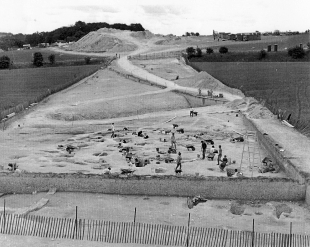 Excavations in 1967 revealed two circular timber structures and vast quantities of animal bones which could indicate that feasting took place there. It has been suggested that Durrington Walls fell into disuse as a ritual centre when the stone circle was built at Stonehenge. Late Neolithic pottery and worked flint have been found within Durrington Walls. The bones of wild pigs and cattle were found in the outer ditch together with 57 deer antlers most probably used for its construction. Inside the circular earthwork, domesticated pig and cattle bones were discovered in very specific places. Remains were discovered in holes dug to hold the upright posts, rubbish dumps and at a raised platform area that may have had a special use for rituals. Excavation and geophysical surveys have shown that at least two circular wooden structures once stood within the banks. One, near the south eastern entrance consisted of a series of five concentric wooden postholes, with an outer diameter of 38 metres (125 feet). The other wooden structure, standing to the north, had two rings of posts and measured 27 metres (89 feet) in diameter. Excavations have shown that the interior of this circular enclosure was used during the Iron Age. Several possible storage pits, as well as post holes, some pottery and a linear feature from this period were discovered. Durrington Walls preserves many secrets and its features await fuller investigation.